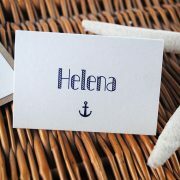 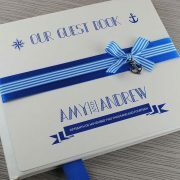 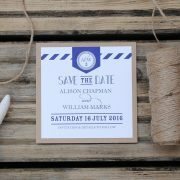 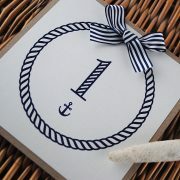 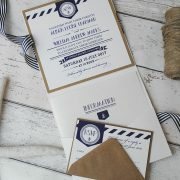 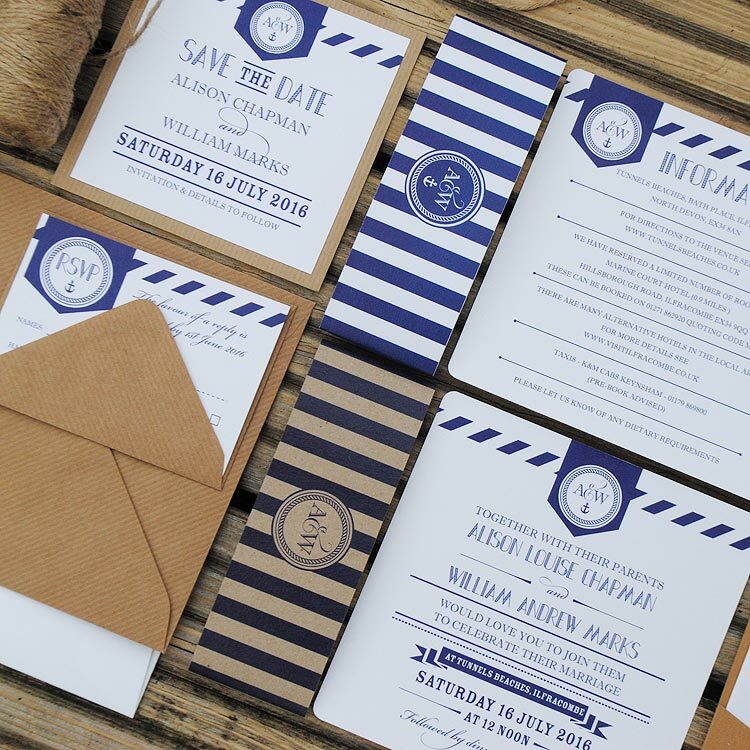 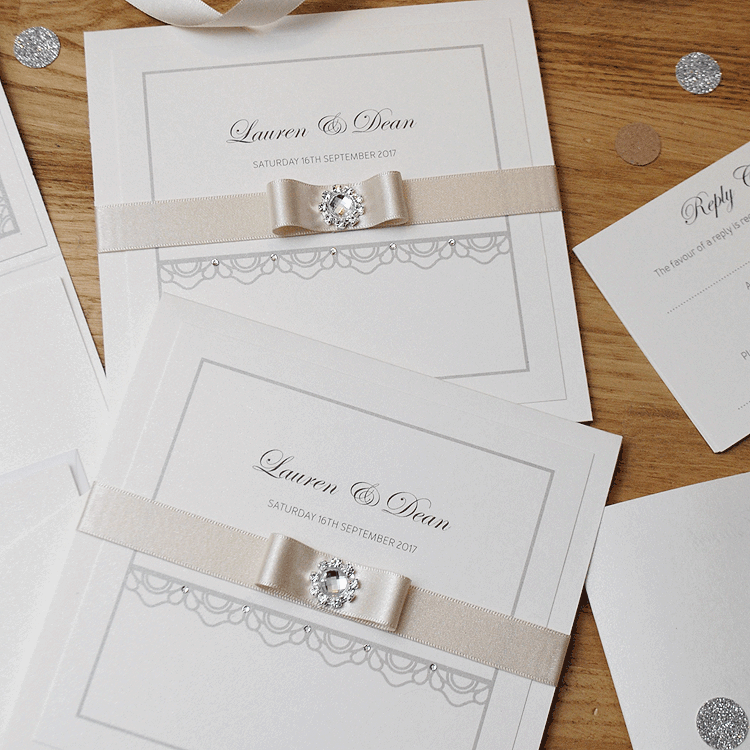 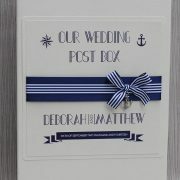 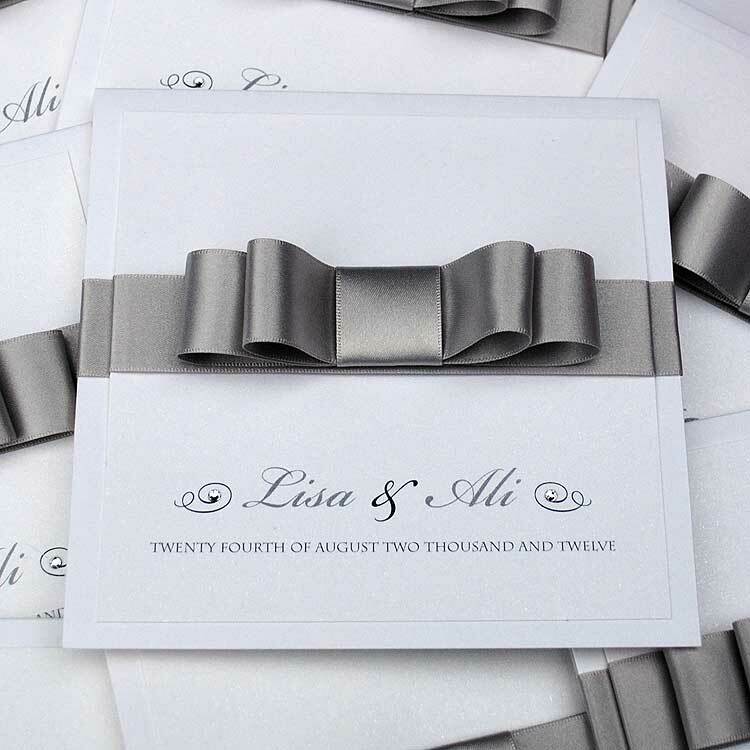 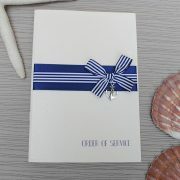 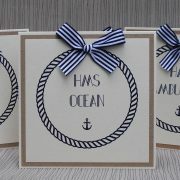 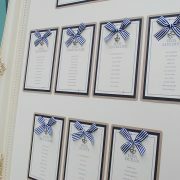 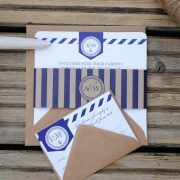 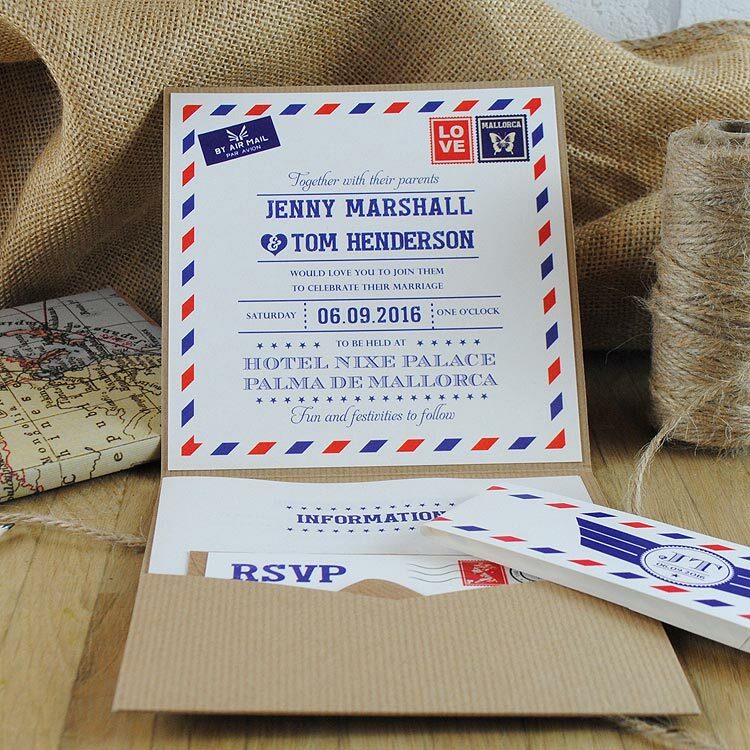 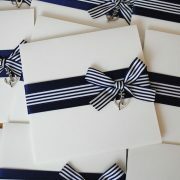 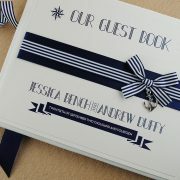 A nautical themed wedding stationery collection perfect for beach weddings and weddings by the sea! 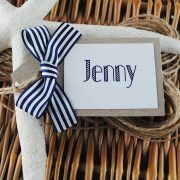 Choose from a handmade design a with cute navy and white striped ribbon and a tiny anchor charm or a modern on-trend printed design with a belly band. 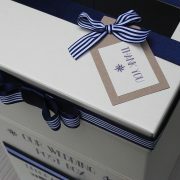 Available in navy or royal blue. 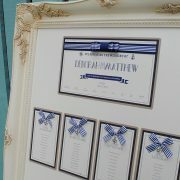 All designs are made to order and can be tailored to your personal requirements. 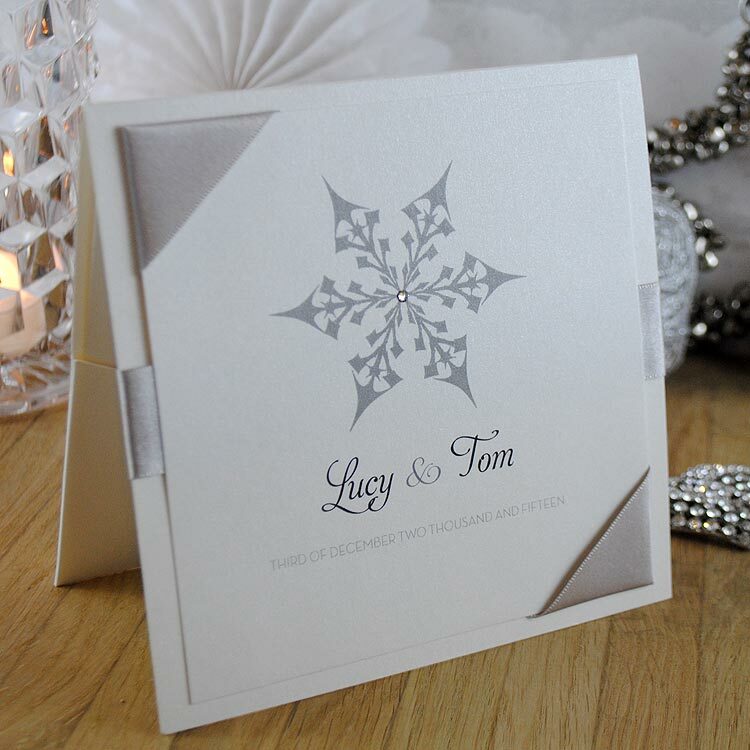 We offer a sample service so your can see this design in your colour scheme and appreciate the quality first hand. 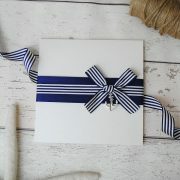 As our samples are handmade to your specifications we ask that you please allow up to 14 days for delivery.